In the dead of winter, your boiler is perhaps the most important appliance you own. It keeps your home warm and comfortable through the freezing Indiana weather. But it can also be dangerous, if you're not careful. 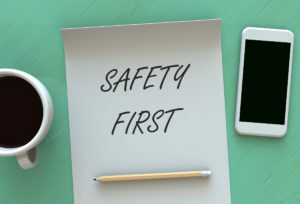 Here are five boiler safety tips, to make sure yours runs smoothly and safely all season long. Why Is Your Boiler So Noisy? Find Out Here! The household comfort provided by your boiler should be felt, not heard. Sounds emanating from a boiler can indicate anything from a minor maintenance issue to a major malfunction. Whatever the source, fixing boiler noises is a job for a qualified HVAC professional. The gas-fired burner flame and the hazards posed by deadly combustion byproducts, like carbon monoxide gas, make boiler diagnosis and repair a professional project. Boiler maintenance is an important part of your pre-winter HVAC checkup, so now's the ideal time to ensure that everything is working correctly. Was your boiler beginning to malfunction at the end of the heating season last year? Perhaps you are starting to have issues with it now and would like to solve the problem before winter really sets in here in Fort Wayne. Troubleshoot the issue before the cold weather clamps down to be sure that your family stays warm all winter long. There's no doubt that boiler repair can be an expensive proposition. You probably think that you can save some cash if you just take care of it yourself. If you are comfortable with tools and have a good understanding of how things work, you may be able to do just that. This boiler troubleshooting guide will walk you through a number of steps that might resolve your issues. Boiler issues are no laughing matter in the middle of a northern Indiana cold spell; neither are the ominous noises signaling a troubled system. Use these tips to help quickly find and troubleshoot common issues so you can keep the heat pumping until professional HVAC help arrives. Learning how to buy a boiler is a rite of passage for many homeowners. Because this is not a purchase that needs to be made often, you might have to do some research to learn more about the available systems and which ones would be best for your home. You also have to decide what efficiency rating to look for to best maximize energy savings.